Lod - the oldest city, mentioned in the Karnak inscription of the Egyptian Pharaoh Thutmose III (ruled in the XV century BC). The city is also known as Lydda and Georgiopol. Mentioned repeatedly in the New Testament. Tradition retains the memory of the place where Saint was buried. incl. George the Victorious. The excursion begins at the place of accommodation of the tourists in Jerusalem (the address and time of the excursion beginning is indicated in advance by the guide). On the tour you need to have comfortable shoes, drinking water and a hat from the sun. Clothes should be like when visiting temples (men should not visit temples in shorts, women should have clothes with closed shoulders, do not have a neckline, short skirts and shorts, you can wear trousers). 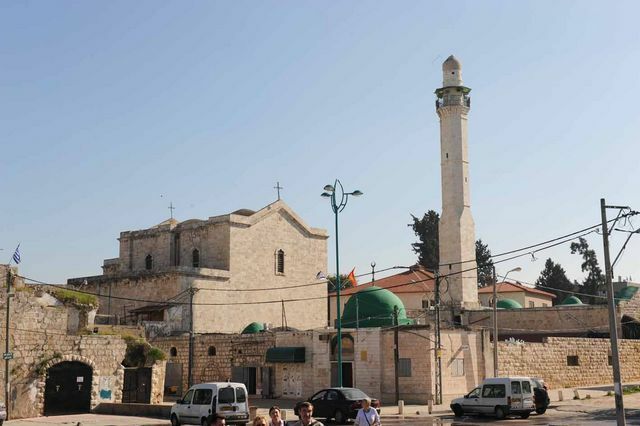 At the request of tourists, you can add a visit to Bethlehem. To cross the border post between Jerusalem and Bethlehem, tourists need to have a passport with them. The price for all participants of the excursion in our car with a departure from Jerusalem is $ 450 (with the number of up to 6 people in the car), and $ 700 (with the number of participants from 7 to 15 people). When you leave for a tour from Tel Aviv and its environs on our car, the price for up to 6 people is $ 650, and from 7 to 15 people - $ 900.